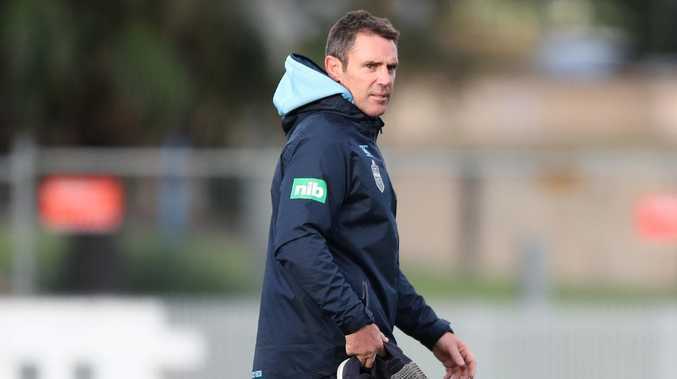 Coach Brad Fittler during NSW State of Origin training at Coogee Oval. 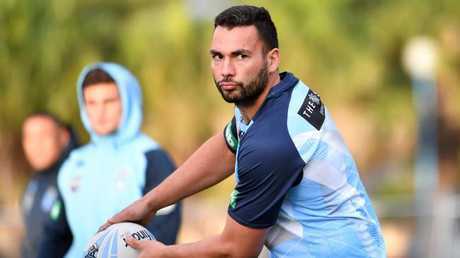 NSW will wait until after Tuesday morning's training session before making a call on the final make-up of their 17 for Sunday's crunch State of Origin clash. After walking barefoot through their plays on Monday, the Blues will have their first full session at Coogee Oval on Tuesday during the shortened lead up to game two at ANZ Stadium. Fittler selected a 20-man squad for the week, but the only real question surrounds who will take Reagan Campbell-Gillard's spot after he suffered a broken jaw for Penrith on Friday night. And Fittler said that decision would be made on Tuesday. "I want to see the boys on the field and make a decision after that," Fittler said. "I don't really know either Matt Prior or Ryan James. But I've been a fan for a long time. "I just want to get them into camp and see how they react with the other players and see how they go tomorrow in the training session and make a decision then." Fittler has a number of options to replace Campbell-Gillard. The most likely scenario is James or Prior coming into the side, either starting or on the bench with Paul Vaughan promoted into the 13. Alternatively, Jake Trbojevic could start at prop, with Tariq Sims - who was part of an extended squad for game one - coming onto the bench. Prior though is shaping as the favourite to come into the side, given Fittler has long been a fan of his and he has big-game experience in both the 2010 and 2016 grand finals. "He doesn't get much accolades for what's happening at Cronulla now or in the past," Fittler said. Matt Prior is in the frame for an Origin start? But he does a lot of the dirty runs, he's very aggressive in defence and has great discipline and is one of those good team players. "Back at the Dragons when he used to go from centres into the back-row, having played centre ensures he's got a bit of football about him. 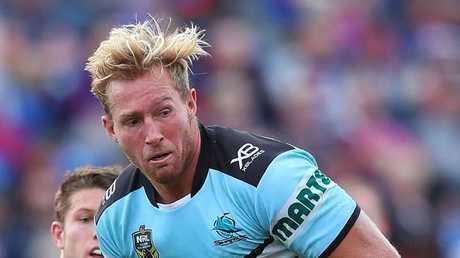 "He had a couple of nice offloads for the Sharks on the weekend. "He's just tough, and that's what Origin is about. You need tough people. 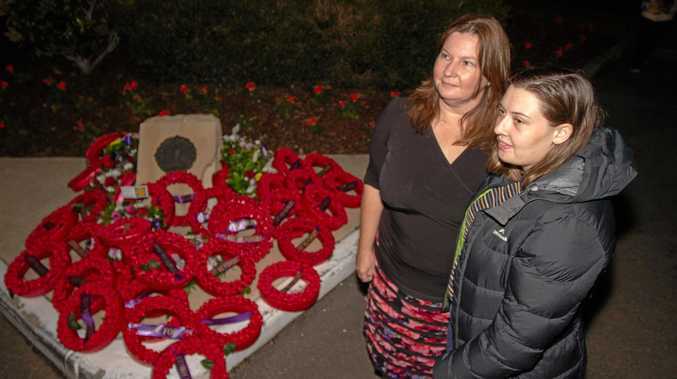 "He's very similar to Reagan Campbell-Gillard. I just love his no-nonsense style to his footy."